Stated to be one of the most easily spread and exotically soft, the cotton bedsheets are always a delight to own. They appear to be wonderful and have exclusive prints lending soothing touch to the eyes. And when it comes to the matter of buying cotton bedsheets with designer floral prints; then, the vibrant essence spreads around. Who does not lover floral shades? It brings a smile on the face and brightens the overall view of a bedroom or living room. This is the reason that floral prints have been prominently used in bedsheets from Jaipur. Known as a lively city, laced in traditional practices, Jaipur is considered as the centre of handloom and quality bedsheet. Generally, one would find smaller sized flowers with stems and leaves on them. 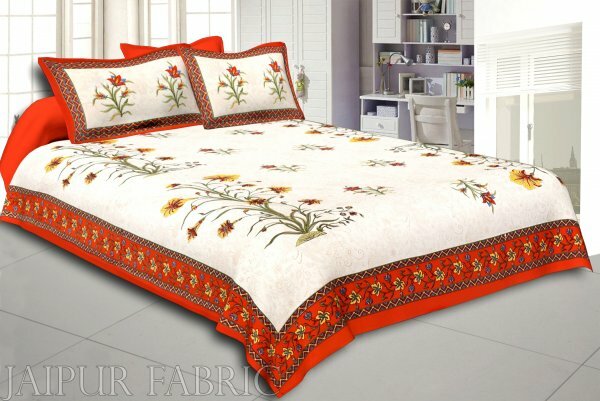 In fact, it stands to be a chain of the floral designs that adds value to cotton bedsheets. They stand to be high quality bedsheets, which are quite sturdy and happen to last for years. The cotton bedsheets are intended to retain their idiosyncratic feel and sheen. Everyone is aware of the fact that excellent quality bed sheet happens to last much longer than an average bedsheet. Certainly, the cotton bedsheets are meant to deliver brilliant interior additions with flowers shining like stars. It is one of the most demanding products because of the quality and prints available on it. Ever though as to why cotton bedsheets have been preferred over synthetic ones? It is because they hold the capacity for being qualitatively soft and easy to wash. With the changing trends and fashions in bedding linens, cotton bedsheets are taking a side-edge. But, this is not the case with the ones from Jaipur. The bedsheets from Jaipur region is strictly a hit with every kind of person. Being affordable in nature, they tend to be a part of every house. Indeed, bedsheets with floral prints are making a rage in the market. They have the tendency to brighten the appeal of a room. Apart from the smaller sized flowers; some of the bedsheets also possess large sized flowers. Depending on the requirement people happen to make purchases that suit their taste. This is the reason that lots of websites have come up, who sell Jaipur style bedsheets at affordable rates. 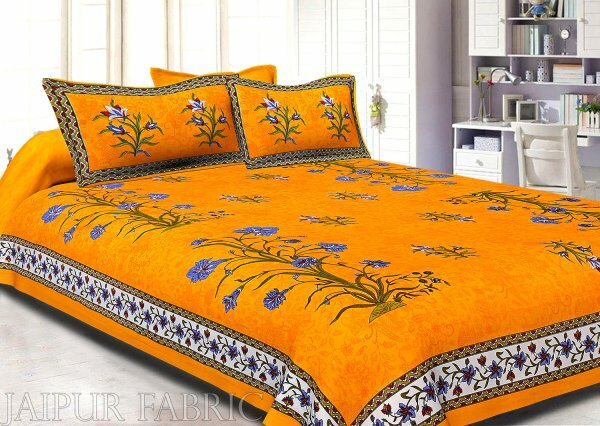 The best thing about Jaipuri bedsheets is that they are exceptionally soft and have fast colors. By this, it means that the colors would not fade away even after several washes. So, it is always on the demand list of many people. Though the fashion needs are changing, in terms of spreading out the bedsheets. Still, the magic of Jaipuri bedsheets never fades away. Definitely, the people willing to buy them have to understand that they look best with metallic or lighter shades on the wall. It is because a lighter background provides space for such bedsheets to shine solely as a star. Moreover, the websites selling Japiur bedsheets deliver them to doorstep too for easy access.